AS PRESIDENT TRUMP prepares for his first State of the Union address, Washington is consumed by arguments — from petty squabbles to fundamental debates about American values. But what worries me most is an argument we’re not having. It’s the argument about whether America will yield its position as the world’s leader in science and technology. For the first time since World War II, our primacy is in jeopardy. Choices we make today will determine whether we continue to reap the outsized rewards to our economy, welfare, and military power that come from being at the cutting edge. Yet no one seems to be arguing about what needs to be done. Among the president’s nearly 4,700 tweets, the words “science” and “technology” have never appeared. On “Meet the Press,” mentions of science and technology have plummeted since the early 2000s. In the second half of the 20th century, the federal government was the world’s most successful investor in the future — driven by competition, necessity, and opportunity. When the Soviet Union launched Sputnik, the United States responded by launching careers — expanding federal funding for college and graduate students in science and math. When early semiconductors were too expensive to support a commercial market, the government provided demand to drive down prices. Federal agencies placed visionary bets that gave us the Internet and GPS. The government set ambitious goals and stayed the course. In 1961, John F. Kennedy declared a race to the moon; we reached the target within the decade. In 1971, Richard Nixon declared war on cancer; although cures didn’t come as fast as he’d hoped, we’re seeing the big returns in this century. George H.W. Bush and Bill Clinton stewarded the Human Genome Project, which revolutionized biomedicine. Through it all, the federal government invested heavily in basic research. That policy made American universities engines of discovery that attracted the best talent to our shores and sparked the world’s most innovative companies. But America’s future is now up for grabs. While scientific opportunities have never been brighter, we’re facing unprecedented competition abroad and challenges at home. R&D spending can be a phenomenal investment. We need clear answers to six big questions. To begin, do we care if China surpasses America as the leading spender on research and development? In 2000, China and the United States accounted for roughly 5 and 40 percent, respectively, of global R&D. In 2015, the figures were 21 and 29 percent. At this pace, the lines will cross before 2020. 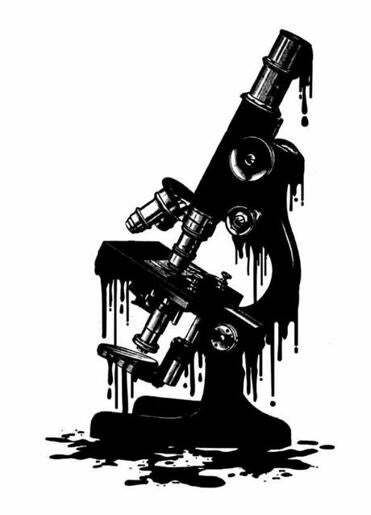 While the average quality of American science remains higher, that gap is closing too. To be clear, being the global hub of innovation isn’t about bragging rights. It’s about the prosperity that comes with it. Two, can the United States afford to lose its edge in artificial intelligence? Five years ago, AI researchers began making stunning progress on vision and speech recognition. Fed by big data, AI is now spilling out into self-driving cars, robotics, financial markets, business logistics, and health systems. China played no role in launching the AI revolution, but is making breathtaking progress catching up. 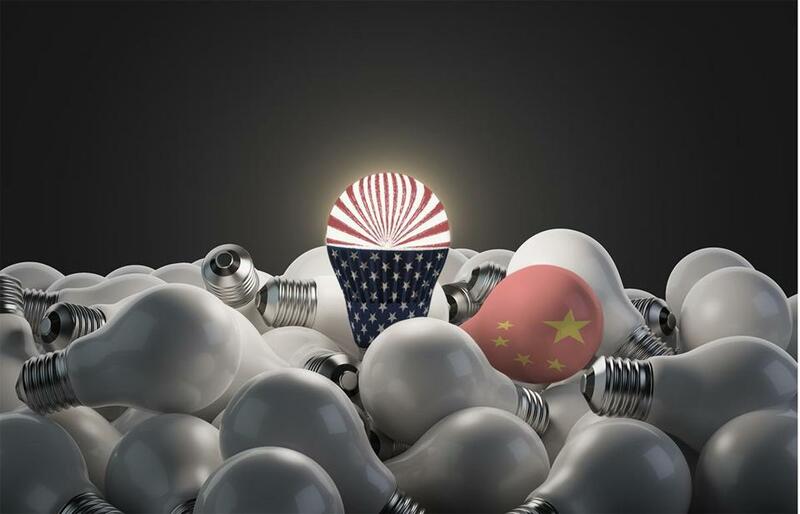 According to some experts, China lags us by less than six months and has recently established a national roadmap to be the unrivalled leader by 2030. (China’s playbook closely resembles a plan outlined in 2016 by the US government, but which has received little attention.) AI is not just a matter of economic competition. The Pentagon is coming to realize that AI will be key to the future of warfare, in which unmanned autonomous vehicles and rapid decision systems may play decisive roles. Three, will America be a leader in energy technology? Spurred by climate-change concerns, federal incentives for consumers, and research funding, the cost of renewable energy has been falling dramatically over the past decade — solar by four-fold, wind by three-fold — and the decline is expected to continue for the foreseeable future. But, alone among 195 nations, the US government is denying man-made climate change and is doubling down on fossil fuels. Even if politicians can’t bring themselves to accept the science, they need to recognize that if we’re not the leader in energy innovation, we’ll be buying our energy technology from abroad. Four, are we prepared to make the huge investments in basic and applied research needed to solve our health crises? To help tackle our opioid crisis, we need better knowledge about the cellular basis of addiction, so we can find ways to reverse it. To anticipate outbreaks of infectious diseases like Ebola and to protect against potential bioweapons, we need vastly better medical surveillance networks, drawing on new DNA and computer technologies. With longer lifespans, the number of cases of Alzheimer’s is skyrocketing and is expected to cost $1 trillion a year by mid-century. Prevention will require understanding the molecular mechanisms that cause the disease. There are promising clues — for example, about unexpected roles of the immune system in the brain — but major research investment is needed. To decrease health care costs, we need to vastly improve electronic medical records, so that we can learn from experience. Five, can we risk letting our universities slip? America boasts 32 of the top 50 universities in the world, magnets for the world’s best students. But America seems increasingly unwelcoming to foreign students, whose applications this year have fallen by as much as 30 percent in some programs. Will the next generation of entrepreneurs and leaders from around the world study elsewhere? At the same time, the Trump administration has proposed slashing funding for basic research. Congress came within a hair’s breadth of taxing graduate student fellowships and did impose a tax on university endowments, which help fund costs not covered by tuition. Beyond higher education, our elementary and secondary schools remain mired in the middle of the global pack in science and math. Finally, are we prepared to expand science and technology opportunities for all Americans? The United States has only 5 percent of the world’s population. To stay ahead, we’ll need to use all our assets. That means leveling the barriers for women in science and engineering, and closing the participation gap for underrepresented minorities. It also means expanding tech-driven prosperity beyond the two coasts. Pittsburgh’s success is a proof of principle, but we need to nurture at least a dozen new tech hubs across America, anchored by leading universities. In this week’s State of the Union, and in the congressional commentary that follows, I hope to hear our leaders tackle these questions, which will shape America’s greatness in the decades ahead. I might disagree with some of their answers. But that’s OK. It’s an argument worth having. Eric S. Lander is the founding director of the Broad Institute of MIT and Harvard.